A facial can dramatically improve the health and appearance of your skin. At Delta Aesthetics in Antioch, California, cosmetic surgeon Andrew Ness, MD, and his team offer facials to address a wide range of aesthetic concerns. No matter what your skin care goals, Dr. Ness and his team can help you find a treatment that's right for you. A board-certified physician, Dr. Ness has the expertise needed to provide his patients with comprehensive and individualized cosmetic care. If you're unhappy with your skin, call Delta Aesthetics today or request an appointment online. The term “facial” can refer to a variety of non-surgical cosmetic procedures designed to improve the look and feel of your facial skin. A facial may involve any the following. Many people receive facials at salons, spas, or walk-in clinics, but the quality and safety of your facial can vary depending on where you receive your treatment. 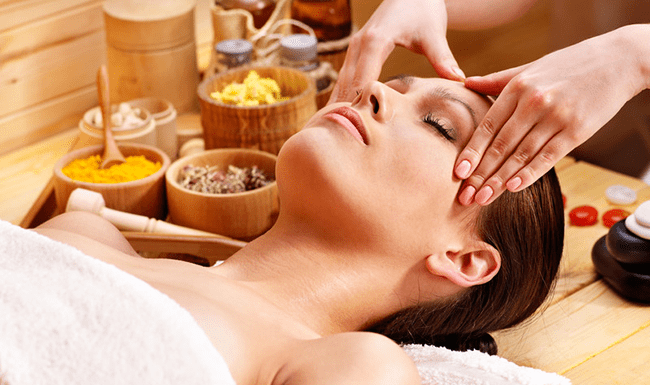 At less-reputable locations, facials may be performed by employees without any formal cosmetic training. At Delta Aesthetics, a qualified aesthetician or cosmetic surgeon performs all facials. Dr. Ness oversees all treatments to ensure that patients receive professional results. How can a facial improve my skin? Facials at Delta Aesthetics are tailored to meet many different skin care goals. No matter what your area of concern, Dr. Ness and his staff can help you select a treatment that improves the appearance of your skin. A microdermabrasion facial polishes the skin and removes dead skin cells. This facial helps correct pigmentation, fine lines, and wrinkles. Microdermabrasion exfoliates your skin to stimulate cell growth. This is a two-part facial that uses a clay mask to draw out impurities from the skin. AFA peels smooth out uneven skin, lighten pigmentation, shrink enlarged pores, and decrease acne breakouts. Exfoliates damaged skin to improve skin texture and tone. This treatment is safe for all skin types. For optimal results, it's usually offered as part of a series of treatments. An antioxidant facial exfoliates and firms facial skin. This anti-aging facial leaves your skin softer, smoother, and more supple. Antioxidants stimulate cell turnover and collagen production. Purges breakouts and calms acne-prone skin. This facial helps destroy acne-causing bacteria and controls oil production. Dissolves dead skin cells and sebaceous material that blocks pores. This facial treats current acne and prevents future breakouts. Salicylic acid creates smoother, softer skin. A lactic acid resurfacing treatment performs advanced skin resurfacing to improve skin hydration, smooth away wrinkles, even skin tone, and lighten pigmentation. Lactic acid can also help treat rosacea and combat signs of aging. Not sure which facial is right for you or struggling with several different skin care issues? Dr. Ness and his team can help! Call Delta Aesthetics today or request an appointment online.